A freestanding bath is not just practical in terms of giving you that thorough bathing opportunity its also a statement, in different ways. Not only does the freestanding bath afford you the luxury of bathing in space and (perhaps more importantly) with the concept of space, it also gives you a terrific focal point for your new bathroom and drastically increases the value of your home. The freestanding bath is beyond doubt the best choice you can make. However, there are some important things to consider before you take that leap. 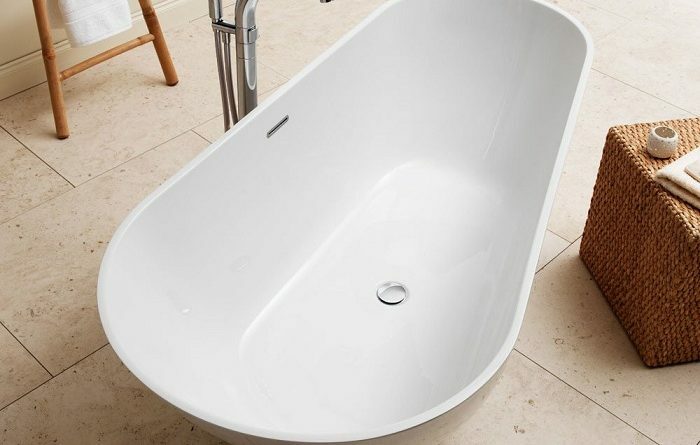 Have you ever wondered how to select the perfect tub for you and your family? Here is a list of the most crucial factors that will affect your freestanding bath choice. Your tub should be large enough (and have the right shape) to accommodate the largest family member, but it should be small enough so that there is plenty of space around it which tends to be important if your bathroom doesnt have large dimensions. A freestanding bath requires more space than the traditional, in-set tub, so youll want to double check the measurements. And equally important (though often neglected): your tub should fit through the door or window when they come to install it. There are light tubs out there, and there are heavy tubs it largely depends on the size and the materials. Make sure your floorboards can support the weight of the bath, the water, and the bather all at once. You may need reinforcements, so hire a professional to check it. Its a personal issue, so not much should be said except for this: check the trends but keep an eye on the classical designs. Its never a good idea to go with a style just because its trending since the freestanding bath is a personal investment in both your standard of living and the value of your home, it is (and always should be) a personal choice to make, regardless of whats in vogue right now. As a matter of fact, an argument can be made that the temporary trends should be ignored and a more classical approach should be taken, since the freestanding baths elegance is essentially timeless. However, knowing whats fashionable now may ensure you get some great deals so do your research and take your time. Choose the one thats best for you and your family.